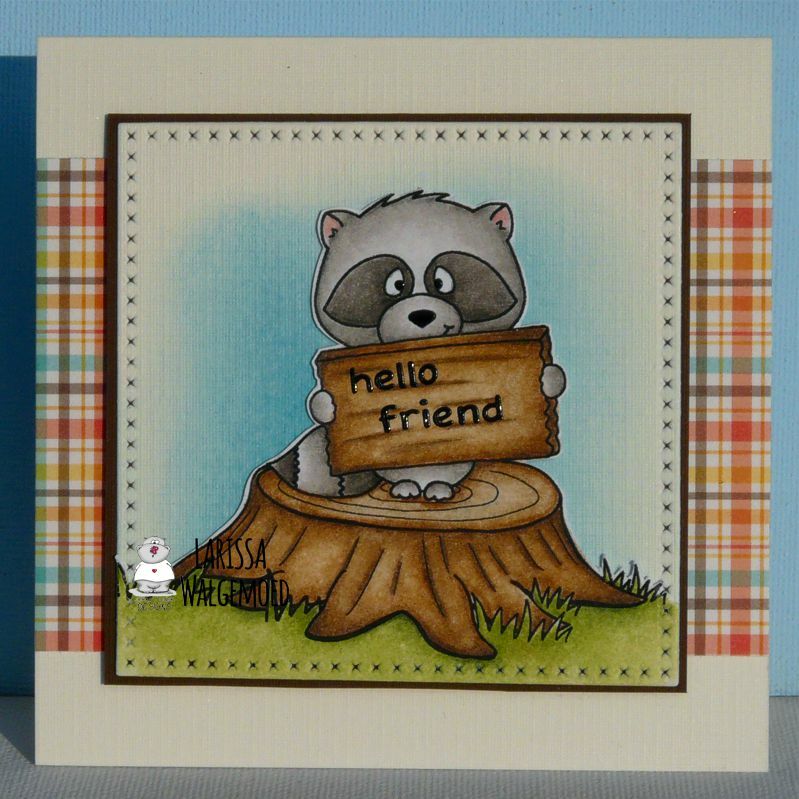 This time I made a card with the digital stamp Racoon from Gerda Steiner designs. 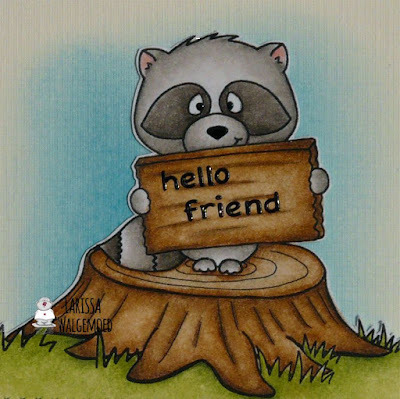 I have coloured the image with my Polychromos pencils and the black glaze pen and then I have fussy cut it. I made the sentiment Hello friend on the sign with black sticker letters. 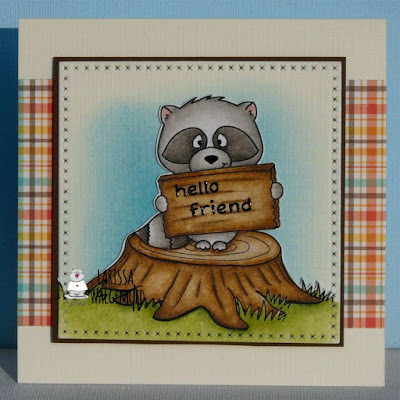 I have die-cut a sqaure from cream cardstock with the Crea-nest-lies XXL 74 from Crealies and made a background for the image on it with Broken china distress ink. I have glued the cream sqaure on a brown square and then I glued the image on top of them. On a cream card I glued a stripf of plaid design paper from the Perfectly plaid fall paper pack from Lawn fawn (retired) and then I adhered the square with the image with foamtape on the card.